The Royal Canadian Mounted Police (RCMP) called the ‘Mounties’, adorn hats made from the muskrat fur as part of their winter uniform. The hat keeps them warm in the extreme cold winters of Canada, especially when operating outdoors and also during ceremonial occasions and parades. Each RCMP winter hat requires pelts from at least three muskrats and each year approximately 3,000 hats are issued to officers. The animal-rights activists in Canada have been clamouring for discontinuance of the muskrat hats by the RCMP. They wanted only those officers who work in the extreme cold would be allowed to wear fur hats that had pelts supplied by humane trapping methods. For others, hat with a synthetic and/or natural alternative was recommended. The RCMP accepted the proposal and tested a tuque made of synthetic material that works well in normal winter conditions, and decided to supply the new hats to cadets as early as the fall of 2014. The Mounties said their time-honoured muskrat hat would continue to be issued to officers working in extreme cold, stressing that the force and its garment suppliers comply with an international agreement on humane trapping standards. To kill muskrats, leg-hold or Conibear or traps are often used. The ‘Stop Loss’ leg-hold trap was created specifically for muskrats. This trap has an extra metal spring which slams onto the muskrats body, pinning it away from its trapped limb. This prevents the muskrats from chewing off their own limb, which many will do in an effort to escape. Muskrats are caught in body-gripping traps can leave them exposed to the elements and predators, and prone to dehydration, starvation and self-inflicted injuries before they die. Often, trapped muskrats drown. Drowning muskrats are conscious and experience all of the pain and distress associated with drowning. These deaths are deemed inhumane and unacceptable by the animal-right activists. If the animals undergo sufferings when trapped, what about the crabs and lobsters trapped using a similar method? What about the fish in the nets or on the hook? Don’t they also undergo a similar suffering? The fur trade supporters often ask these questions. The fur trade is vital to the economy of many remote rural communities in Canada. These communities who often have few other economic options. Majority of Canada’s fur cultivation actually takes place on factory farms where hundreds of thousands of mink and fox are kept in tiny cages and slaughtered for their skin. There are close to 70,000 trappers in Canada who harvest muskrats and other animals. Many are the aboriginal trappers who use the trapped animals for food and bait as well as the pelt. Muskrats reproduce at a prodigious rate and would cause problems if not culled regularly as a sustainable approach. These animals are abundant and plentiful in the Canadian environment and need to be trapped to protect the ecosystems and also the fur trade. 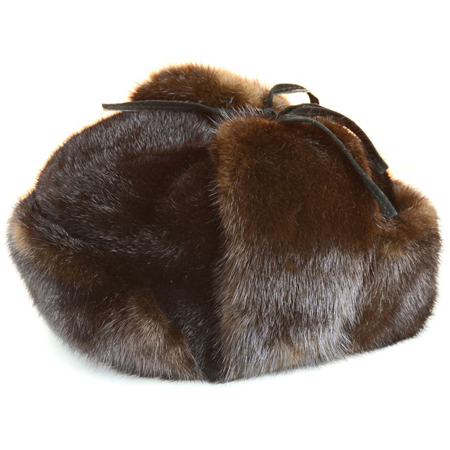 Canada’s fur trade contributes more than $800 million annually to the Canadian economy. Canada’s most important fur markets are China, Russia and the Ukraine, Europe (Italy, Germany, UK, Greece, France, Spain), Turkey and Korea. The Canadian fur trade directly employs 70,000 Canadians. Full and part time employment in various fur trade sectors is additional to spin off employment in the supply and services sector, including feed and equipment suppliers, veterinary and research services, by product production, marketers, business services, transport, crafts and design sectors. Fur trade has been one of Canada’s oldest and most historically significant industries. Nearly four hundred years from its start, the commercial fur trade continues to use a plentiful sustainable Canadian resource in a responsible manner and is an important contributor to Canada’s economy and ecology. The development of the fur trade had exploded in the seventeenth century once the fashion demands of Europe had acquired an insatiable desire for felt hats made from the short hairs of the Beaver. The fur trade had formed an important part of the early economies of both the English and French colonies. The initial system was based upon some Aboriginal groups trying to control the trade by playing the middleman between the European settlers and other Aboriginal groups. This developed into a system where the colonists began to travel to the hinterland to trade directly with the native groups and eventually the French Coureurs des Bois began to lay their own trap lines and would travel thousands of miles each year by canoe. The English decided upon a different approach when they claimed the Hudson Bay and all of the lands that had waters which flowed into the Bay. This system fell under a private company – The Hudson Bay Company (HBC) – which was granted it’s charter by King Charles II in 1670. The HBC constructed trading posts called forts, factories or houses at the mouths of rivers, along the western shore of the Hudson Bay and initially relied on the natives travelling down the rivers to trade their furs. As sources and the quality of the furs began to deteriorate, the Bay men used the natives to help them explore and establish new forts further and further away from the Hudson Bay. The expansion of these two fur trading systems inevitably brought them into contact and conflict. There were only so many furs and the question became who was going to secure and dominate the trade. It is an interesting fact that the furs from Canada were usually considered to be more desirable due to the colder winters and hence the greater development of the fur to keep the animals warm. The Canadian government on 30 September 2014 has ordered the Mounties to reverse the plan, even though the force has already ordered 10,000 tuques to replace the muskrat hats. The political angle to the decision is that Minister Leona Aqlukkaq, who heads the Environment ministry, also hails from the fur-trapping northern territory of Nunavut. She would always love to keep her electorate happy. തൊപ്പി കഥയും അതിലെ അന്തര്‍നാടകങ്ങളും അറിയാതെ തണുപ്പ് കാലം വരവായി…. The animal-rights activists should realise & implement same logic for all animals & birds slaughtered for meat. They are least bothered about the people make livelihood with those activities.